AR-15 Over sized Trigger Guards LASER ETCHED OVER SIZED AR TRIGGER GUARDS. 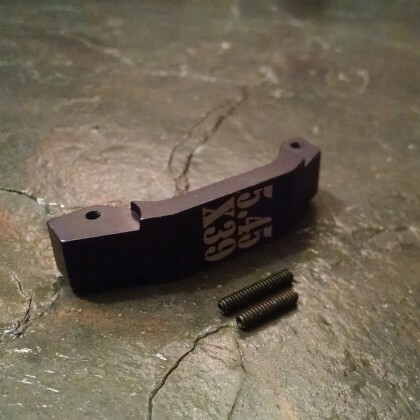 This new design uses two set screws and no roll pins. 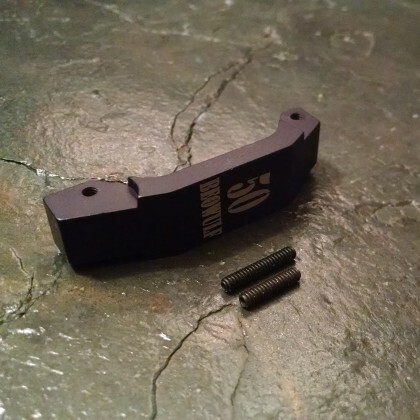 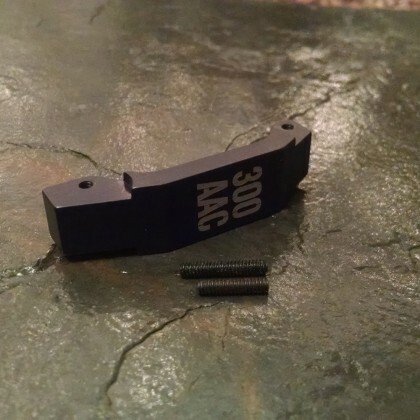 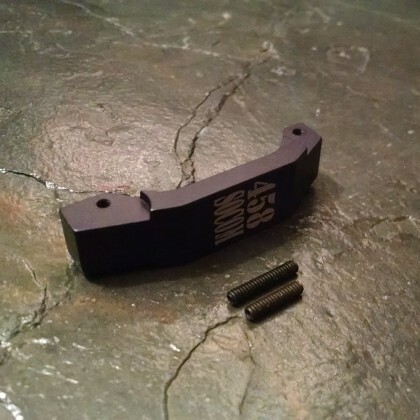 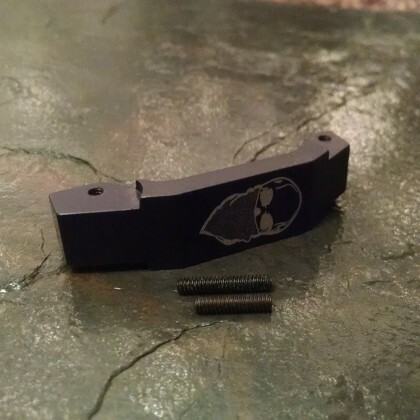 This eliminates the need for driving pins into AR-15/M4 lowers to install trigger guard and possibly damaging the lower receiver. 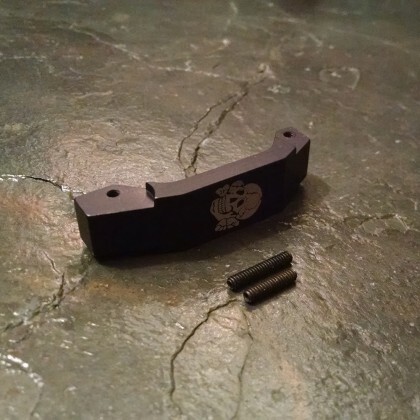 Fills in the gap found between pistol grip and rear of trigger guard. 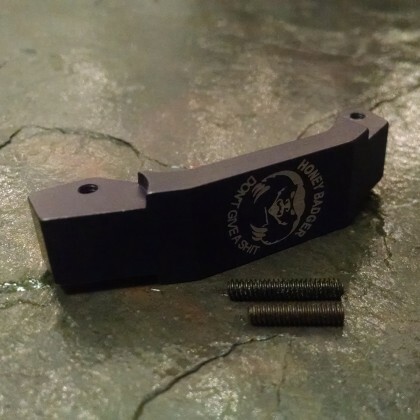 The over sized trigger guards allows greater clearance for finger or when wearing gloves, eliminating the need to pivot open guard in cold conditions. 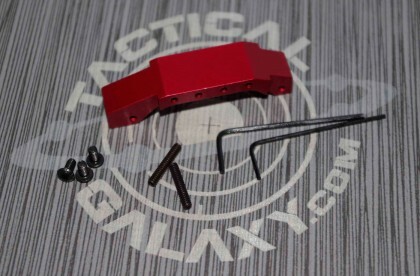 Easy, no-gunsmithing installation, with no permanent modifications to your rifle. 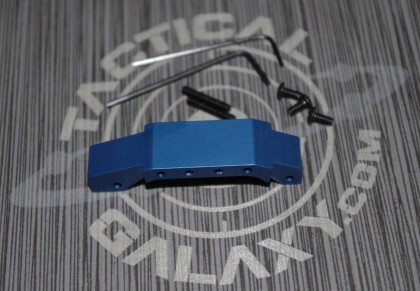 These over sized trigger guards are anodized not painted, providing you with a long lasting custom look that won't fade. 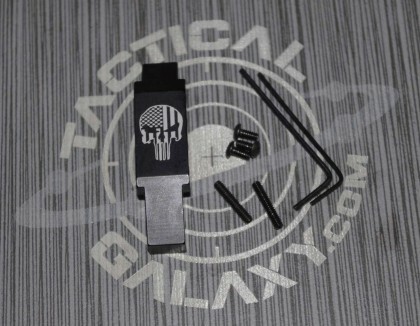 Drop in replacement for the AR-15/M4 weapons platform. 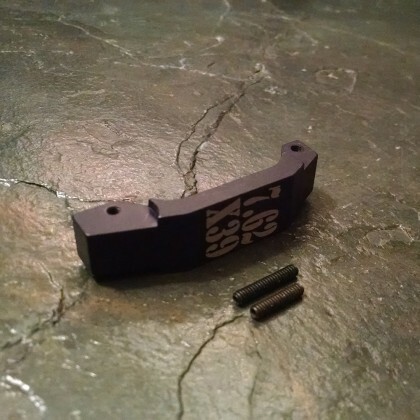 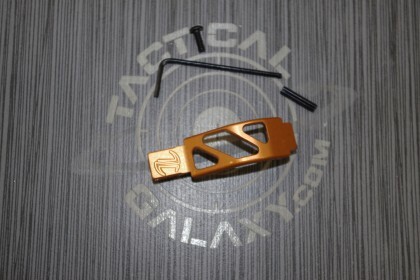 Use for either a new build or to replace the stock trigger guards. 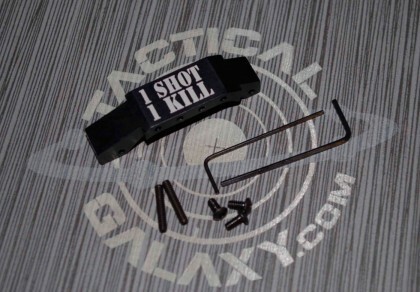 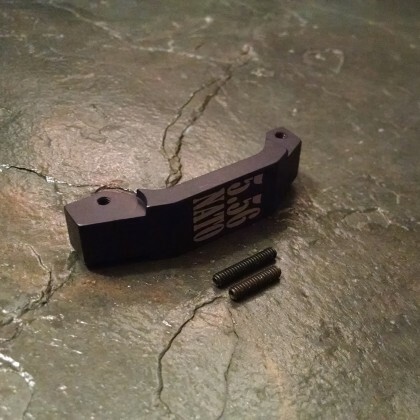 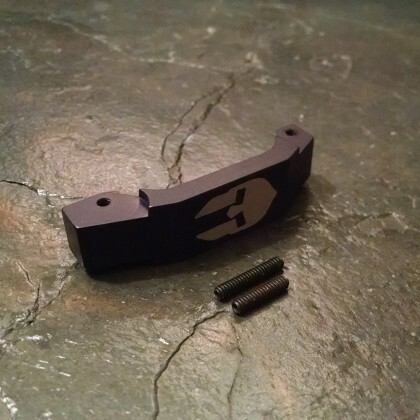 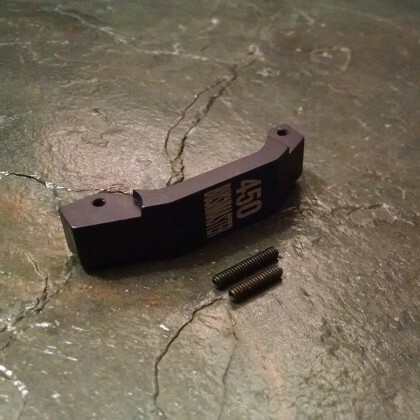 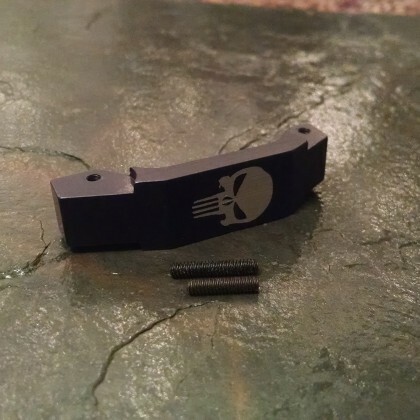 AR-15 BLUE Anodize enhanced trigger guard With Custom Text or Logo. 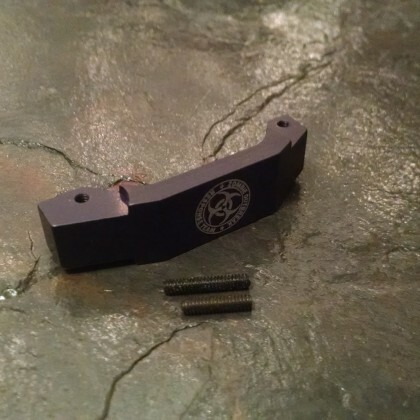 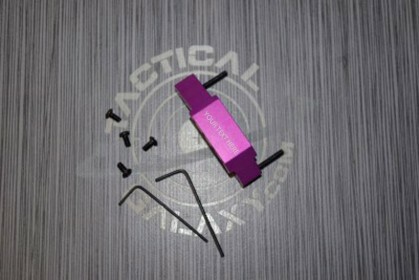 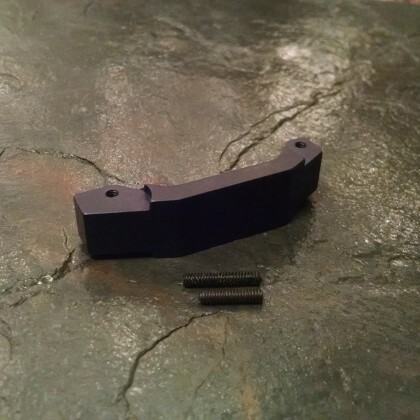 AR-15 BLOOD MOON PURPLE Anodize enhanced trigger guard With Custom Text or Logo.